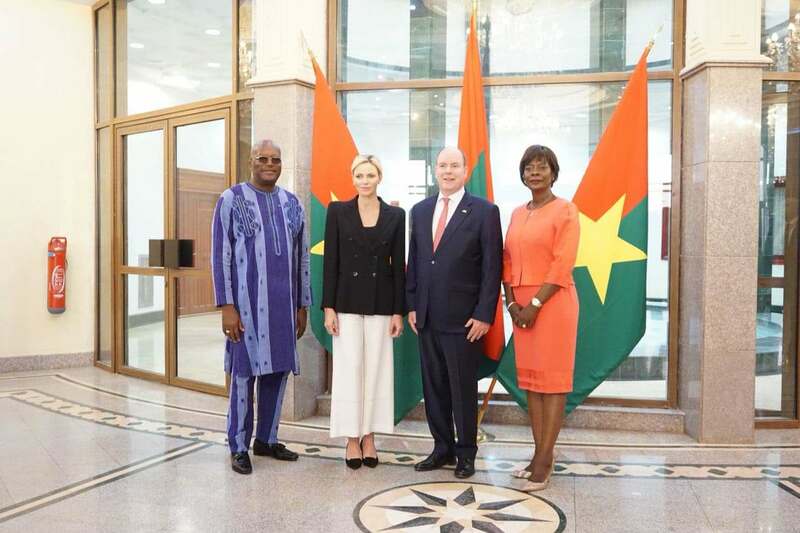 Last Sunday, Prince Albert and Princess Charlene visited Burkina Faso on what was described as "a friendly" visit (not official or state). The Princely couple arrived at night and were received by the president and the first lady. If the suit looks familiar, that's because it is the Vanessa Gounden suit she wore to visit a kindergarten in Monaco in 2016. I really like the jacket, but I still think it would have looked way better with a pencil skirt instead of these culottes. 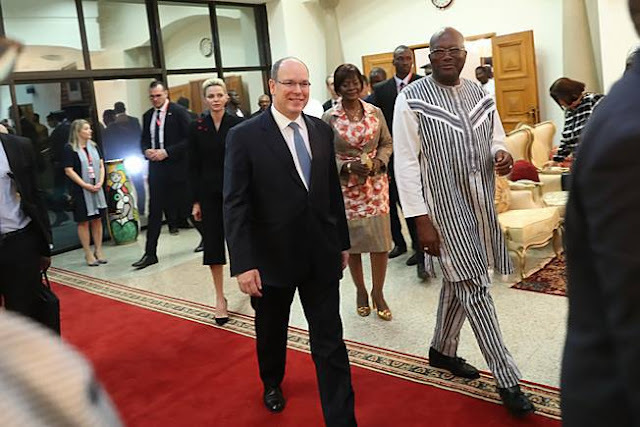 On day 2, the Prince and Princess of Monaco were joined again by the presidential couple for a welcome ceremony at the Kosyam Palace followed by a visit to a preschool. For these events, Charlene repeated a Ralph Lauren double-breasted blazer and Celine cropped pants. Finishing the look was a pair of black Jimmy Choo heels and pearl earrings. Then came a dinner given in the couple's honour. The dress the princess wore is designed by Burkina Faso's fashion house Bazem'Se Couture. Seb Bazemo, the designer behind this frock revealed that the dress was custom-made at the Princess's request. 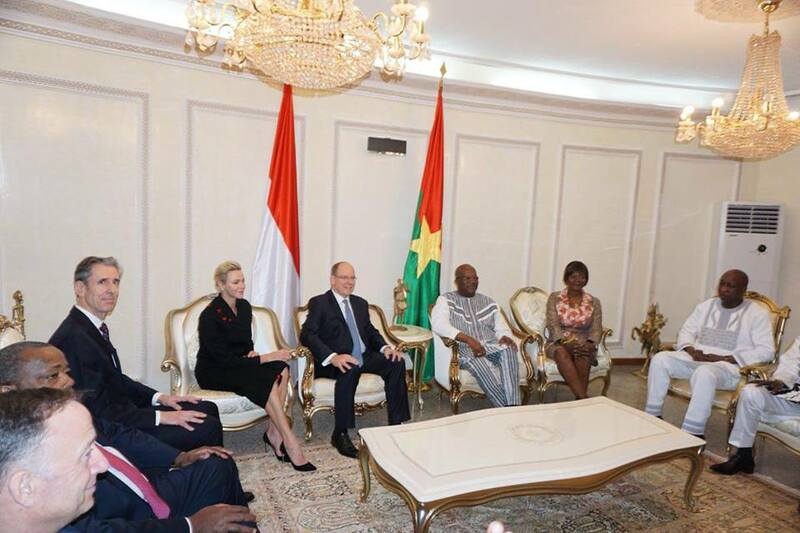 Upon her arrival, the princess asked for a Burkina Faso-based designer to make the dress for her and that's how she was introduced to Seb who visited her in the hotel and took her measurements. four and a half hours later, this dress made of a knitted stretch fabric was delivered for the princess to wear to the dinner. I believe the clutch is one Char's Akris ostrich clutches. 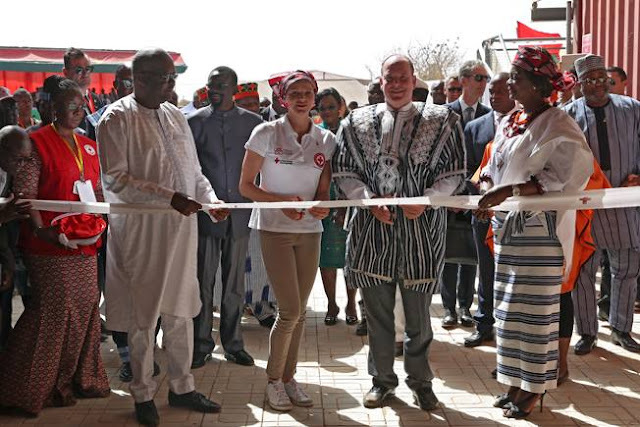 On day 3, Al and Char opened the new Red Cross headquarters in a traditional dress for Albert and a traditional turban for Charlene. 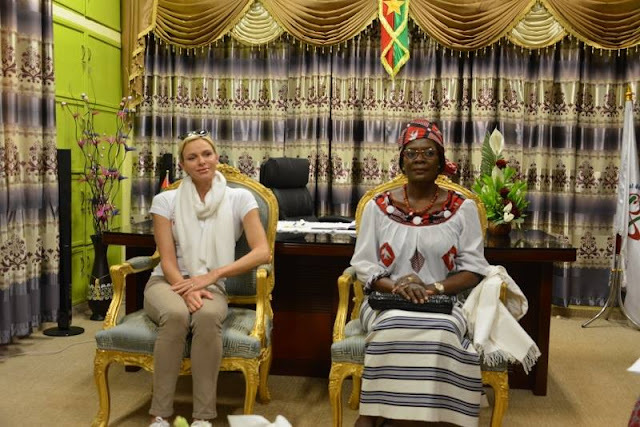 Charlene and Mrs. Sika Bella Kaboré later visited a neo hospital. 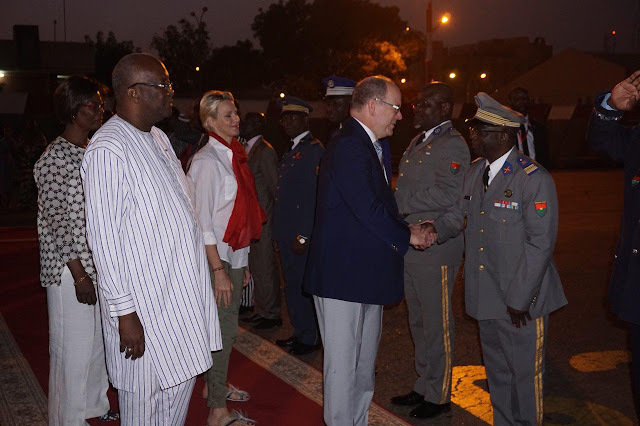 Later that night, the Prince and Princess departed Ouagadougou to Monaco. I choose not to comment on this outfit because I'm glad she wore a dress by a local designer on the trip. 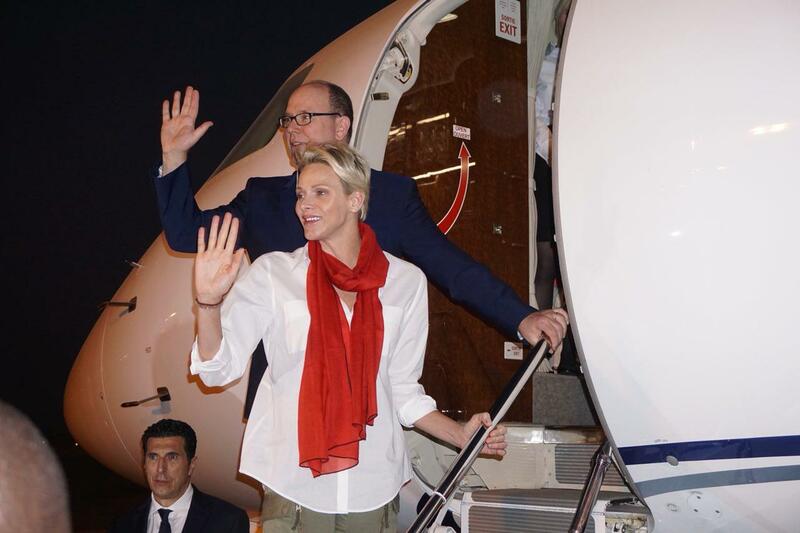 Plus the couple is all smiles and the scarf is, at least, a colour. Princess Eugenie is engaged; my top tiara guess!